Visual merchandising and store design blog, with reviews from shops and shop windows around the world. Snøhetta’s YME store in Oslo mimics an ancient Norse creation myth. Aiming to do for Oslo what 10 Corso Como has done for Milan and Dover Street Market for London, the concept store is the jewel in the crown of the refurbished Paleet Mall (see Frame 102, out 1 January for our case study on the project) in a building dating from 1844. According to founder Nicolai Schaanning Larsen, the store’s amibition is ‘to be a meeting place for fashion, art and design enthusiasts’, so as you’d expect, YME’s carefully curated selection includes everything from Wood Wood clothing to art by Jean-Paul Basquiat. The 1600-m2 store incorporates a gallery, bookshop and (due to open this spring) roof garden. The shop takes its name from Yme, the primal being of Scandinavian legend, from whose dead body the earth was made. That was also the starting point for the design. ‘Getting a Norse myth as a brief was a new experience for us,’ says Morten Ludviksen of Snøhetta, who worked with Rikard Jaucis and Marlene Fenger Vedal on the project. The frieze was made by milling 14 sections of solid pine, the largest nearly 5 m long. Stacked one above the other, they suggest both frozen and melting forms. Inside, the story of Yme continues. The ground floor, cool and crisply detailed, again recalls Ginnungagap, but the spaces become progressively warmer, richer and darker as shoppers head upstairs. The whole process represents the mythical transformation of Yme’s body into the fertile earth. LA HALLE (Vivarte Group) recently opened its second Parisian flagshipstore dedicated to fashion; a two-level 2.300m2 area in the center of Paris. This new retail concept store located on the well-known Boulevard Haussmann was designed by SUPERBRAND. The atmosphere of the store highlights the new identity of LA HALLE: « it is French, it is Fun, it is Fashion ». On the ground floor level of the store, SUPERBRAND thought up a giant front window : trendy dummy models on catwalks and screen-walls present the latest key trends of LA HALLE. The entire range of clothing (women, men, children) and accessories (shoes, bags…) can then be discovered on the lower ground floor level of the store. A special focus is dedicated to women lingerie. SUPERBRAND was granted the 2014 Enseigne d’Or award for its work on the design of this new LA HALLE concept store. The Jeans Team Store concept is the abstraction of the elements that you can find in a empty motor garage, turned into denim gallery and a cloth displays, with car and bike expositions. The store manages different kinds of brands, that mutate the visual appearance of the store in every season. Because of the flexibility that the store needs, the design was thought of as a group of modular changing racks that can be moved and replaced for every situation that the brand and the collection requires. The design challenge for Cole Haan Outlet Store prototypes was to obtain the high-end feel of their first-quality stores in a value-budget factory store and meet energy requirements of all states. Architecturally, the design features the “modern beach house” concept that the first-quality stores evoke. Patrons are drawn in by the glowing paper pendants, illuminated identity-orange storefront display and the lighted brand-wall that runs the length of the store. The combination of fluorescent and ceramic metal halide lamp sources enhances color rendering. Appropriately placed track with minimum fixtures highlight merchandise at visually comfortable angles from all sides. High contrast creates a luxury feel. Only four lamps are used within the store, reducing inventory and maintenance. Prototypical lighting uses inexpensive solutions to generate an environment that reinforces the architecture, feels high-end, is visually comfortable, uses low energy and is easily maintainable. With multiple stores implemented and store sales increased by more than 15%, Cole Haan has exceeded all financial goals for these stores. Cole Haan has taken up residence in SoHo with a lab-concept boutique designed by Roman and Williams to fuse Cole Haan’s past with present, showcasing the brand’s premium craftsmanship and modern perspective. Unlike any other Cole Haan location in New York, the 1,720 square foot SoHo selling floor doesn’t feel anything like your typical retail space. This space is where the Cole Haan design studio meets an inviting shopping lounge experience. Andre Leon Talley would be proud to call this his refined urban salon. It’s not like we haven’t said we’d live in one of our favorite stores before, but this time we couldn’t be more serious. The Cole Haan SoHo locale is where we’ll be flocking to for our next, much needed retail therapy appointment. The large, custom-designed ottoman smacked in the center of the room is plush and comforting, while the metal cabinets and steel and oak shelving lined with the latest and best pieces from Cole Haan’s array of bags, shoes, outwear, and other accessories make it impossible for anyone who walks in to just pick up what they want and go. Roman and Williams, the brilliant minds behind the design of The Ace Hotel, have constructed a layout and design that adds even more to the pleasures of Soho, and is in itself a welcoming, relaxing experience that sets you at ease from the second you walk in the door of the SoHo Cole Haan concept store. 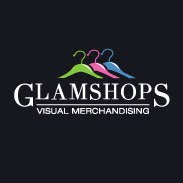 Glamshops.ro. Tema Fantastic S.A.. Un produs Blogger.